Take a NJ Transit Bus to Washington Street in Hoboken. Exit at 8th Street for main campus or 6th Street for academic buildings and walk east to get to campus. Take Port Authority Trans Hudson (PATH) subway, marked Hoboken. Find more information about fares here. Stations are located on 6th Avenue at 33rd, 23rd, 14th, and 9th Streets, and at Christopher Street. 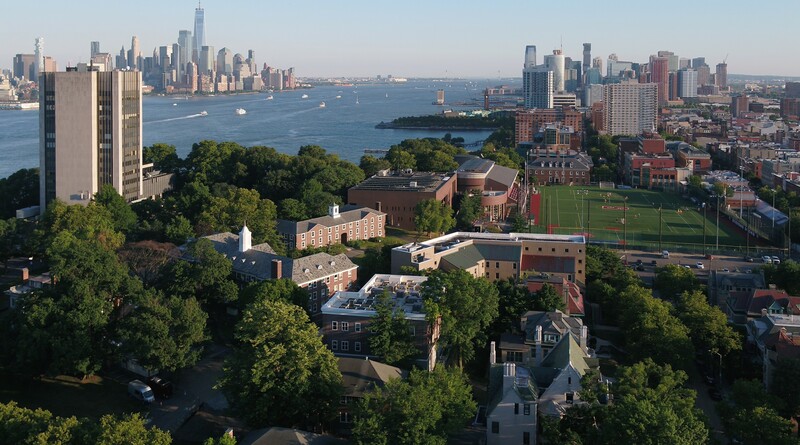 Once in Hoboken, take a local Washington Street bus, taxi or walk uptown to 6th Street and turn right (east) for the campus. Take a NYWaterway ferry from Pier A at Battery Park, Pier 11 on Wall Street in Manhattan, the World Financial Center in Downtown Manhattan, or Pier 78 (weekends only) at West 38th Street and 12th Avenue in Manhattan to the Hoboken South Terminal. From the Hoboken South Terminal take a local Washington Street bus, taxi or walk uptown to 6th Street and turn right (east) for the campus. Ferries from Pier 78 also arrive at the Hoboken North Terminal (13th Street). From the Hoboken North Terminal take a local Washington Street bus, taxi or walk downtown to 8th Street and turn left (east) for the campus. Many NJ Transit trains stop in Hoboken. Other NJ Transit and Amtrak train lines stop in Newark. From Newark, Mon through Fri, take a PATH train to Grove, Jersey City, and switch to the Hoboken train, as explained above. Stop at the Howe Center (main building at the top of the hill) to obtain information.